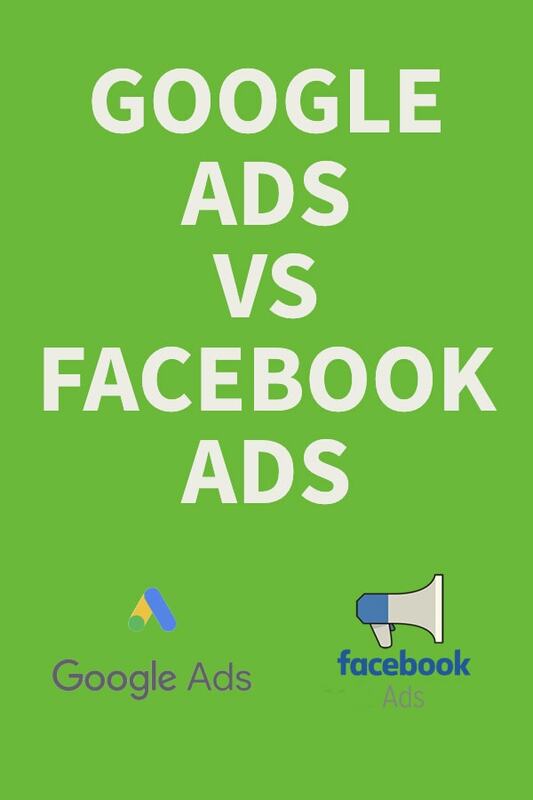 Google Ads Vs Facebook Ads - Which is Better? In the last few years, the buzz has been about Facebook's Ad network. And buying ads on the social media giant has become one of the only ways to reach people now that organic reach is dead and gone. Google Ads have not gone away however. In fact, Google's Ad Network is still the biggest in the world and the most powerful for many business needs. Both networks have their niches so it's important to understand which one works best for your business. Google Ads, better known as Adwords, is Google’s billion-dollar revenue generator. 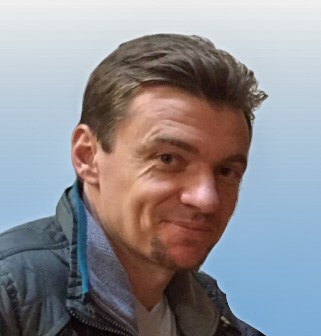 The ad network allows businesses of any size and individuals to place ads in the search results and on websites in Google’s network (more than 3 million websites and counting). Ads appear at the top of the Google search results and often at the bottom of each page. These paid ads look similar to organic listings but have an “Ad” icon in green before the copy. You might think that this labelling of the search results would deter people from clicking. In reality, 60% of people either do not notice the difference between organic results and paid search results, or they simply do not care. 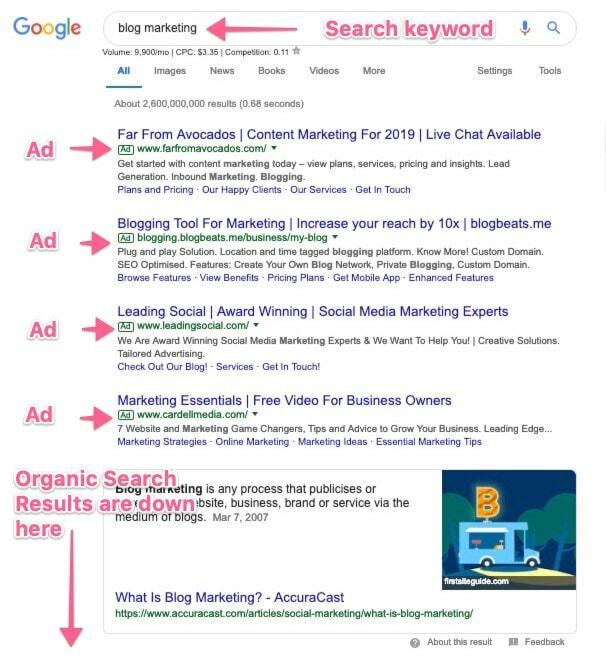 Ads on search results page get more clicks than organic results. To place an advertisement, marketers enter their ad copy into an auction. Google’s algorithm determines where in the paid search results your ad should appear. This is called your Ad Rank. In summary, if you offer to pay a higher amount for clicks, but your ads are super popular with searchers and your landing page is a hit, you will pay less for clicks. You can reach 1st place in paid search results even if you spend less on clicks that your competitors in position 2 and 3. The quality and relevance of your keywords, ad copy, and landing pages are paramount. Facebook's Ads are what provide the company with 97% of its revenue. Advertising on the network was originally a marketer’s dream thanks to the targeting and low cost. This has changed with increasing CPC. Facebook changes it’s targeting and privacy policies on a regular basis so campaigns that worked in the past might not work now. The old way of creating ads that worked and leaving them to run, the set-and-forget method, is also ineffective these days. Monitoring, tweaking, and improving ads on a constant basis it the key to successful Facebook advertising. 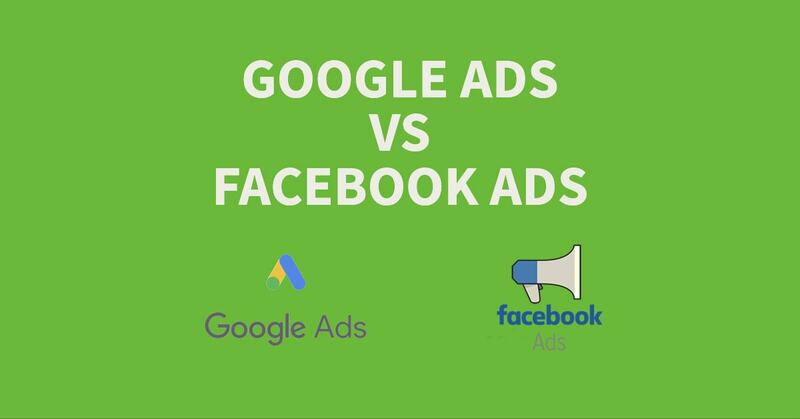 The difference between Facebook ads and Google ads is how you advertise to potential customers. Adwords is based on keywords. You bid on search terms that users are using to find answers, products on services in Google. In a way, Facebook Ads are more like traditional advertising where you are exposed to advertising even when you have no intention of buying. Most people are not using Facebook to buy products or find answers to questions so ads on the network essentially interrupt the user’s experience. Adwords targeting depends on the network.Google offers two completely different ways of displaying your ads: Google Search Network and the Google Display Network. The search network refers to the search results pages. The display network refers to the millions of websites that display ads for Google. Marketers can target users on the search network by the keyword they use, their geographical location, language, and device. You can also target people through retargeting or ‘remarketing’ as Google calls it. Google’s targeting options are more limited than Facebook. Facebook offers scarily detailed targeting options. Want to advertise to 25 to 45-year-old males, earning $100k or more, that like video games, own their own home, have no debt, and living within a few block radius of Manhattan? Google Adwords is a better choice for advertising to users near the end of their buying process. Bidding on keywords such as “Digital Marketing Agency” will target people looking for an agency. Users typing “Digital Marketing” into Google could be looking for an explanation of the term. They will want the Wikipedia answer or a general overview of what digital marketing is. “Best digital marketing agency” or “buy digital marketing services in London” are much better terms to bid on. If you have a service or product to offer that your potential audience does not know about, then Facebook Ads are the clear winner for conversions. Your ads can be tailored to appeal to different demographics, devices, locations and other targeting options to maximise sales of your offer. Interested in trying PPC for your business? Get in touch and find out how we can help you with Facebook Ads and Adwords campaign design, creation, and management. Using Adwords Express? Find out why you should change from Adwords Express to Google Ads!